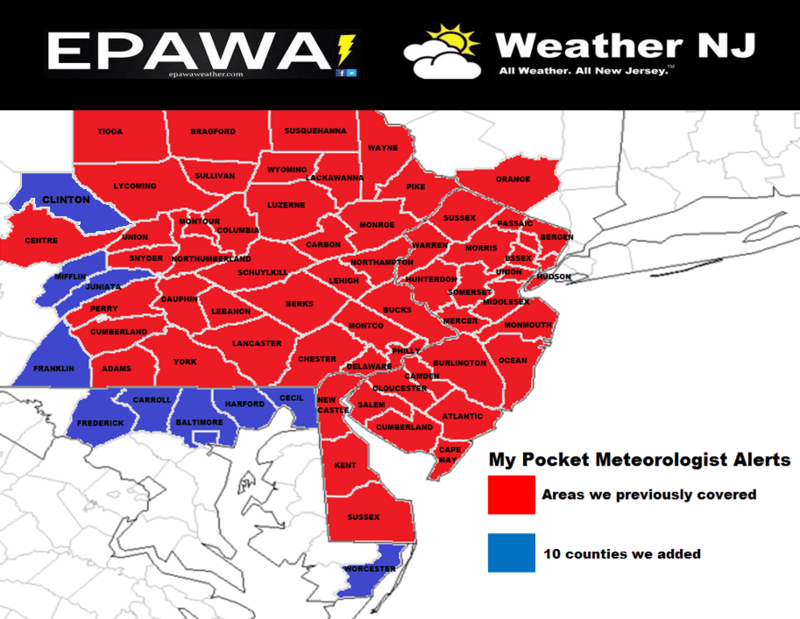 In 2013, EPAWA introduced the premier economical service, My Pocket Meteorologist (MPM). Ever since its start, everyone from large companies to everyday weather enthusiasts have been benefitting from the convenience of manual, meteorologist produced forecasts sent directly to their phone. On October 1st, 2016, the My Pocket Meteorologist program became better than ever before! 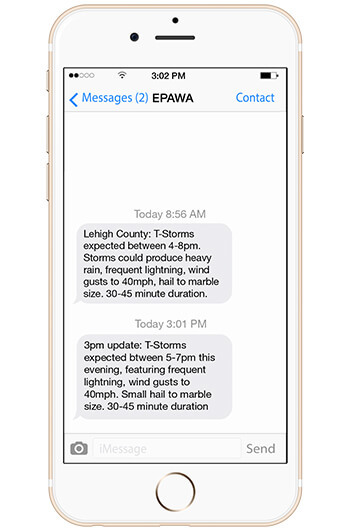 EPAWA entered into a joint-venture partnership with WeatherNJ to become the largest and most reliable supplier of text alerts, daily forecast texts, and joint Premium Forum in the NE US and Mid-Atlantic! The same great service that you have come to trust over the past few years got even stronger with the partnership with Jonathan Carr and his associates of WeatherNJ, LLC. Whether you’re a contractor, landscaper, facility manager, or someone who just doesn’t want to be stuck in the rain, snow, or ice, this service is for YOU! Please see the detailed information about each service below and choose the best one that suits your needs. 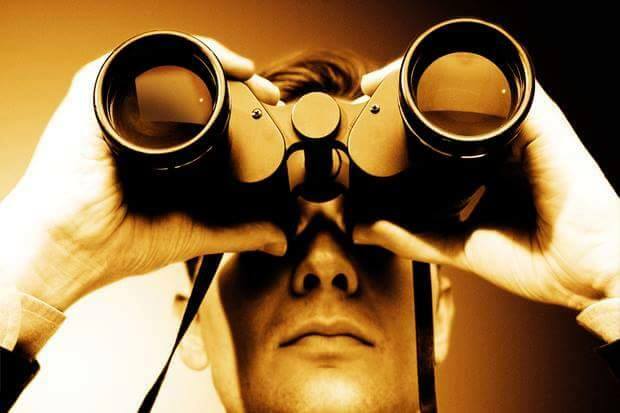 We look forward to serving you with forecast accuracy, excellence, and dependability! 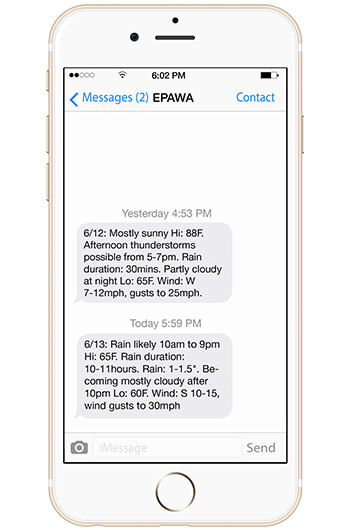 Your forecast alert will be sent via text directly from an on-staff Meteorologist from WeatherNJ and EPAWA. Alerts vary depending on which option you sign up for—“Daily Forecast Service”, or “Weather Alerts Service” (active days only). Both services offer affordable, low monthly rates starting at just $0.23/day! 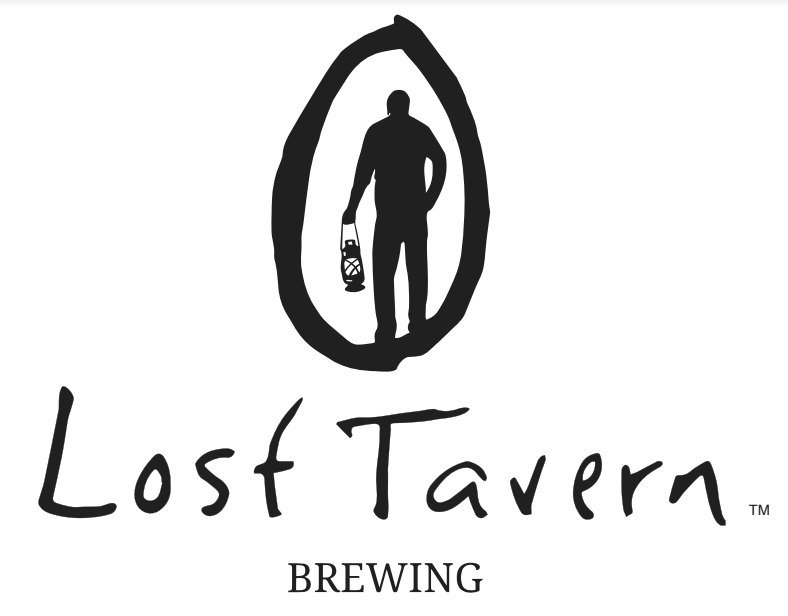 Discounted yearly options are also available! Great for everyone from snow removal services, school districts, and roofers to every-day commuters and persons wanting accurate information up to the minute! Order Our Weather Alert Service Now! 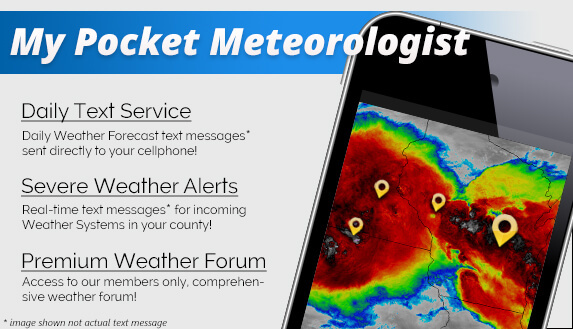 Perfect for the every-day weather curious person looking for more than your average news forecast, the MPM Daily Text Forecast Option provides the NEXT DAY forecast for your county, sent between 5-8PM the night before! Order Our Daily Text Forecast Service Now! Order Our Weather Forum Now! Want daily alerts, without missing advanced notice and real-time forecasts? Bundle both Daily Text and Weather Alerts! Order Our Special Bundle Deal Today!